A home energy audit will give you great insight into which home improvements will make the most impact on your home comfort and energy efficiency. Spring is a great time to have your audit as it will give you a little time to complete the upgrades. Your home will be prepared to keep you comfortable and healthy during the summer heat in the El Dorado Hills area, as well as cozy during the cool winter nights that follow. An energy audit takes the guesswork out of home improvements. 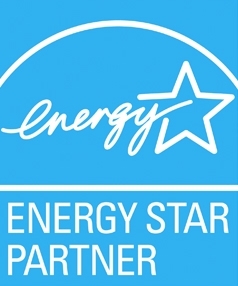 If you’re interested in increasing home comfort and lowering utility bills in your greater Sacramento area home, an energy audit from California Energy Services will highlight exactly what you can do to achieve those goals. Rather than guessing where to put your money for the best results, your energy audit’s custom recommendations will be on-point in directing you to the services that will increase your home performance. A large fan placed in an exterior doorway (with all other exterior doors and windows closed) will create negative pressure in your house, causing air to enter through any small openings that exist. This test allows us to measure the overall amount of air leakage in your home. Infrared cameras show us exactly where heat loss is occurring in your home. That’s where your money is going out the window—and every other crack and cranny air can sneak through. We’ll be able to assess where there is no or insufficient insulation, so you’ll know whether to focus on your attic, basement, walls, floors or your whole house. During the energy audit, we’ll inspect your heating and cooling systems, windows, doors and ductwork to gauge efficiency, so we’ll know which of these is helping or hurting your home performance. After the audit, we’ll schedule a follow-up visit to go over your report with you. The report will include an analysis, as well as recommendations for upgrades. During this visit, we can answer any questions you have and help you plan your next steps. At California Energy Services, we find that most energy deficiencies are resolved with air sealing, duct sealing and improved insulation. All of these improvements work together to create an airtight home that contains conditioned air in your living spaces for a much higher level of home comfort and significant savings on your energy bills all year long. In addition to comfort and energy savings, air sealing and insulation allow your HVAC systems to work more efficiently, using less fuel and prolonging the life of your equipment. Last but not least, your home’s indoor air quality will be improved by keeping outside contaminants and allergens out of the air you and your family breathe. Contact us or call (916) 737-1107 today to start making your home more comfortable and energy efficient this year. Older PostDo My Solar Panels Need Spring Cleaning?